Congressman Huffman at his town hall in Arcata. Congressman Jared Huffman is taking the next segment of his town hall tour to Garberville on May 31 after drawing large crowds up and down California’s 2nd District in the wake of President Donald Trump’s election. Unlike some of his Republican counterparts, who have been jeered at or ended up in shouting matches with constituents, Huffman has enjoyed a generally warm welcome at a series of meetings over the last several months. An outspoken critic of Trump, Huffman’s May 9 meeting in San Rafael, which focused on holding the administration accountable, drew 800 attendees and saw all of the RSVP seating snapped up within 24 hours. A similar scenario played out closer to home in February, when more than 1,000 people packed Huffman’s town hall at the Arcata High School gym — a meeting announced with 48-hours notice — after his office moved the session to the larger venue following an overwhelming response. Topics have ranged from local areas of concern to national issues, including the possibility of impeaching Trump, the repeal of Obamacare and climate change. Washington, D.C. - On Wednesday, May 31st, Congressman Jared Huffman (D-San Rafael) will hold his next community town hall at the Redwood Playhouse in California’s 2nd Congressional District where he will discuss how to make forward progress in today’s political climate. 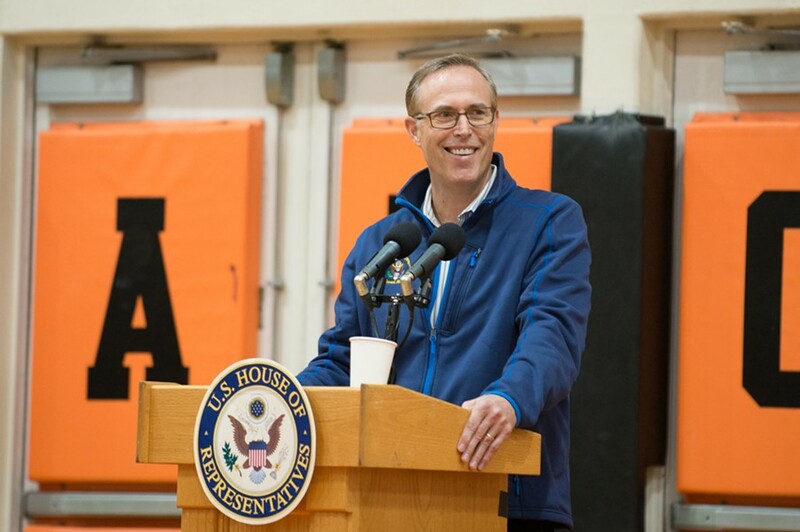 In this public meeting, Rep. Huffman will answer questions and share his plans and priorities for best representing California’s North Coast in Congress. Please contact Huffman’s Eureka office at (707) 407-3585 or email Huffman.CAScheduling@mail.house.gov with any questions.